They may be more focused on the battle for second with Sheffield United, but that hasn’t stopped two of Leeds’ current squad from enjoying a setback for league leaders Norwich City, courtesy of Andy Rinomhota’s 97th equaliser for Reading on Wednesday night. 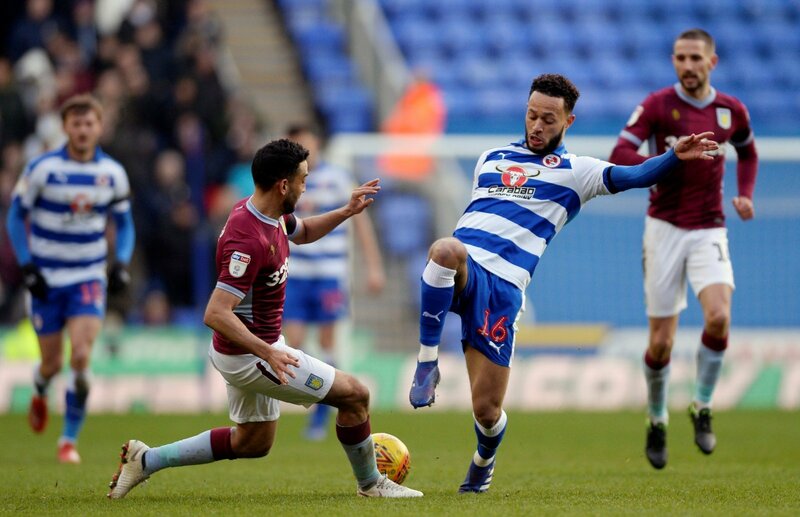 One man who played a major part for Reading in that result was on loan Chelsea man Lewis Baker, who was withdrawn 94 minutes into the match. 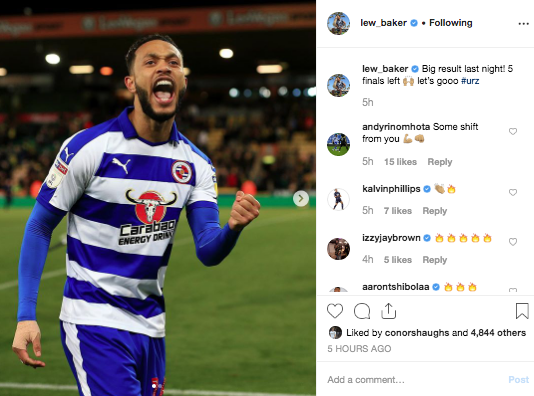 After the dramatic finish, Baker took to Instagram to react to the result, sparking reactions from some of his former teammates currently in the Elland Road camp. Baker’s teammate from his loan spell at Leeds last season: Kalvin Phillips, and Izzy Brown, who is on loan at the Yorkshire side from the same parent club as Baker, both sent their congratulations to the 23-year-old in the form of flame and hand clapping emojis. Despite Reading’s late equaliser, Norwich are still six points clear of Leeds at the top of the Championship table with just six games of the season remaining. Though you imagine this is simply a case of two friends congratulating another, this could still be a boost for Leeds. While it is unlikely they will catch Norwich, The Canaries can still be considered a target for Leeds, giving them that extra bit of motivation they need to get the wins they need to stay ahead of Sheffield United and secure the main aim of promotion back to the Premier League.